Regardless of the size of the job, the StonePly team can fabricate the natural stone cladding panels needed by our clients quickly and efficiently. Installation can also typically be done within a relatively short time frame when the Z-clip attachment method is used. This allows contractors to minimize labor costs and get income-generating new construction or renovation projects to market as fast as possible without sacrificing quality. This method involves the use of Z-clips and Z-moldings. Z-moldings are mechanically secured to the substrate. 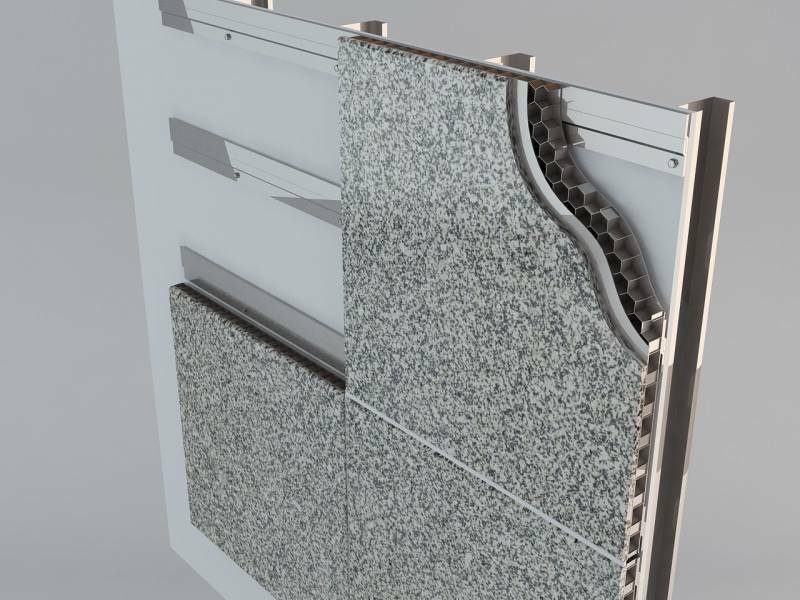 Z-clips are attached to the backs of the natural stone cladding panels at the locations indicated in the shop drawings. The panels are then slid into place; the Z clips fit into the Z-moldings. Finally, structural silicone is used to secure the system. For more detailed descriptions of the Z-clip installation method, the concealed screw (tab mounted) method, the adhesive set method, and the channel installation approach for translucent stone cladding panels, visit the StonePly website. If you are interested in discussing your project with a knowledgeable company representative, we can provide a free initial consultation and a custom estimate based on your natural stone cladding needs. You can reach us by filling out the form on the contact page of our site or by calling us at 903-454-4630.